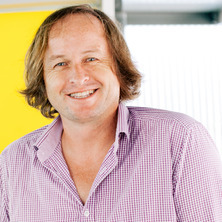 Scott Beatson is an Associate Professor and NHMRC Career Development Fellow at The University of Queensland (UQ). He specializes in bacterial pathogenomics: using whole-genome sequencing to investigate transmission, pathogenesis and antibiotic resistance in bacteria. Recent work from his group includes genomic analyses of pandrug resistant enterobacteriaceae and the multidrug resistant Escherichia coli ST131 pandemic clone. He was awarded a PhD from UQ for his work in bacterial pathogenesis in 2002 and developed his career in bacterial genomics in the United Kingdom with the support of fellowships from the Royal Commission for the Exhibition of 1851 (University of Oxford) and the UK Medical Research Council (University of Birmingham). Since returning to Australia he has held fellowships from both the NHMRC and ARC and has led a successful research group in the School of Chemistry and Molecular Biosciences at UQ since 2008. He is also a member of the Australian Infectious Diseases Research Centre and the Australian Centre for Ecogenomics. In 2016 he received the Frank Fenner Award from the Australian Society for Microbiology in recognition of his contribution to microbiology research in Australia. I have over 100 career publications and a career citation count of 3861, with an H-index of 29 (Thomson Reuters Web of Science 25/04/2016). I have published 61 papers in the last 5 years including 18 senior/corresponding authorships and 4 first authorships. I regularly publish in high-impact, general interest journals including Science (2012, 2014), Nature (2004), PNAS (2006, 2014), PLoS Genetics (2009, 2013), FASEB J (2010, 2013) and Sci Rep (3 in 2015). My recent work has been published in leading specialist microbiology journals (2015/2016 mBio, 2016 Clin Infect Dis) and publications describing microbial genomic software developed in my group are highly cited (BRIG 181 citations [PMID: 21824423]; Easyfig, 149 citations [PMID: 21278367]). As an experienced molecular microbiologist with more than 15 years experience in bioinformatics I have developed a world-class cross-disciplinary research program using genomic approaches to better understand the evolution of bacterial pathogenesis. The host metabolite D-serine contributes to bacterial niche specificity through gene selection. Galleria mellonella Infection Model Demonstrates High Lethality of ST69 and ST127 Uropathogenic E. coli. Pal, Tibor , Sonnevend, Agnes Maria , Ghazawi, Akela , Haidermota, Aliashgher , Girgis, Safinaz , Alfaresi, Mubarak , Omar, Mohammed , Paterson, David L. , Beatson, Scott , Forde, Brian and Zowawi, Hosam M. (2016). Multi-hospital spread of a pan-resistant Klebsiella pneumoniae clone with an ISEcp1-directed blaOXA-181 insertion into the mgrB gene in the AE. In: The 26th European Congress on Clinical Microbiology and Infectious Diseases (ECCMID), Amsterdam, Netherlands, (). 9-12 April 2016. Croft, L., Beatson, S. A., Whitchurch, C. B., Blakeley, R. L., Huang, B. and Mattick, J. S. (1999). One approach to developing a bacterial genome database. In: Combined Conference Abstracts: 43rd Annual ASBMB, 18th Annual ANZSCDB and 39th Annual ASPP. ComBio 99, Conrad Jupiters, Gold Coast, (Sym-25-02). 27-30 September, 1999. Beatson, Scott. (2002). Pseudomonas aeruginosa genomics and pathogenesis PhD Thesis, School of Molecular and Microbial Sciences, The University of Queensland.